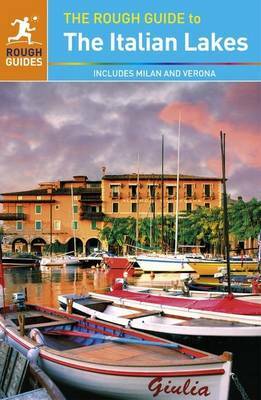 The Rough Guide to The Italian Lakes is the most authoritative guide to this exquisitely beautiful region. Clear maps and detailed coverage of every attraction, from dramatic Lake Garda and dreamy Lake Como to scenic journeys and unforgettable hideaways on charming Lake Maggiore and lesser-known lakes such as Orta, Iseo and Lugano. You can discover the majestic beauty of Verona, as well as the best shopping in Milan and the finest art in Bergamo and Mantua (Mantova). Itineraries suggest tailored trips, while knowledgeable accounts bring the area's Baroque gardens and Renaissance palaces to life. Rely on up-to-date recommendations of the best restaurants, bars, cafes, shops and hotels for every budget and to suit every taste. It lets you follow epic walks and cycle ways, explore lakeside villas, visit medieval villages. Relax, draw breath and lose yourself in the spectacular Italian Lakes, with sharp, intelligent writing from experienced authors.